Hamlet Isn't Dead's Love's Labour's Lost was our acoustic summer spectacular of Shakespeare's first real rom-com. In true Hamlet Isn't Dead style, this production was a trimmed-up tale of summer lovin' between the dudes of Navarre and the ladies of France. With live music straight from your favorite 90s hits, love poems, fistfights, and bad Latin jokes there was something for all audiences to enjoy. 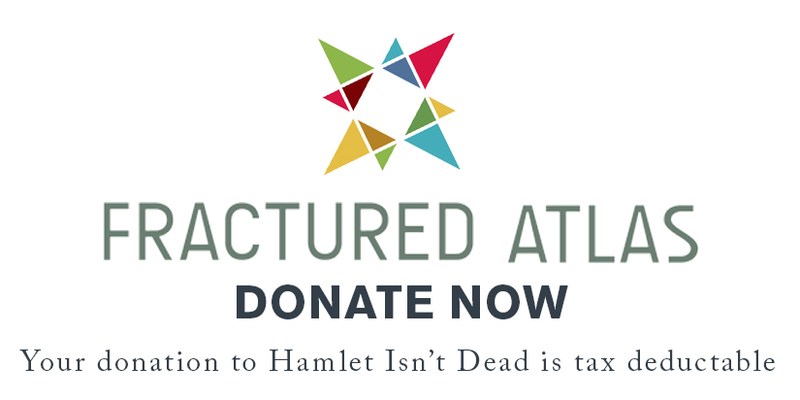 And besides in-house from the cast, Hamlet Isn’t Dead was very excited to partner with Della Grove - a Brookyln-based Rock and Americana band for a medley of pre-show jams! We also had an over-stocked concession stand full of goodies from the ever-popular Buttermilk Bakeshop.